This book, first published in 2004, focuses on both the fundamental issues in materials science as well as the technology of photonic, electronic and sensor applications utilizing gallium nitride (GaN) and related alloys. With contributions from 28 countries spanning 5 continents, it is evident that the field is vibrant and growing rapidly. 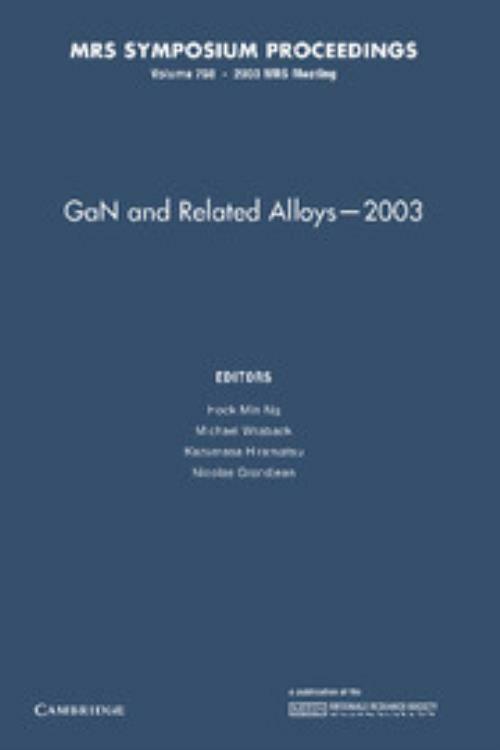 Current and emerging research areas are addressed - epitaxial growth strategies for high-indium-content InGaN alloys, InGaAlN alloys, and dilute nitride alloys; increasing the p-type doping levels in GaN and AlGaN alloys; developing large-area GaN and AlN substrates; controlling and understanding the influence of defects and polarization; device processing techniques; and developing new applications for III-nitrides. Hock Min Ng AT&T Bell Laboratories, New Jersey. Kazumasa Hiramatsu Mie University, Japan.